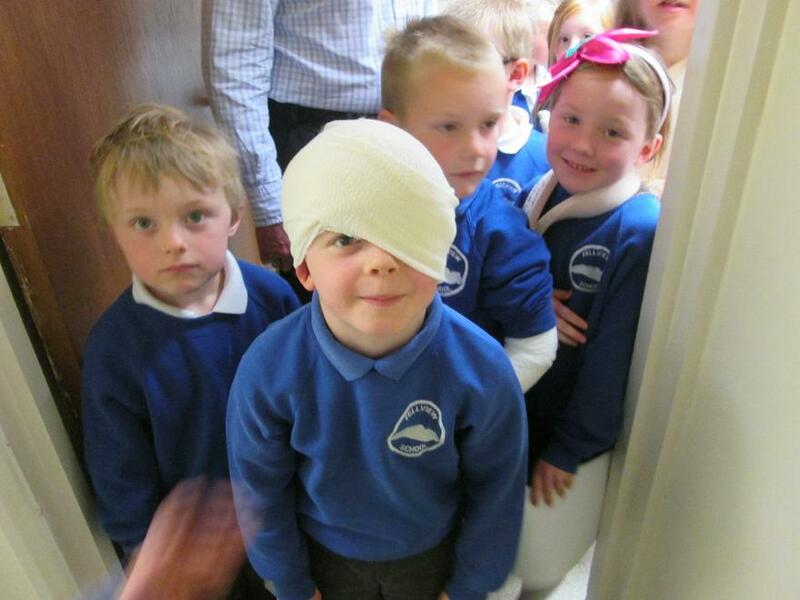 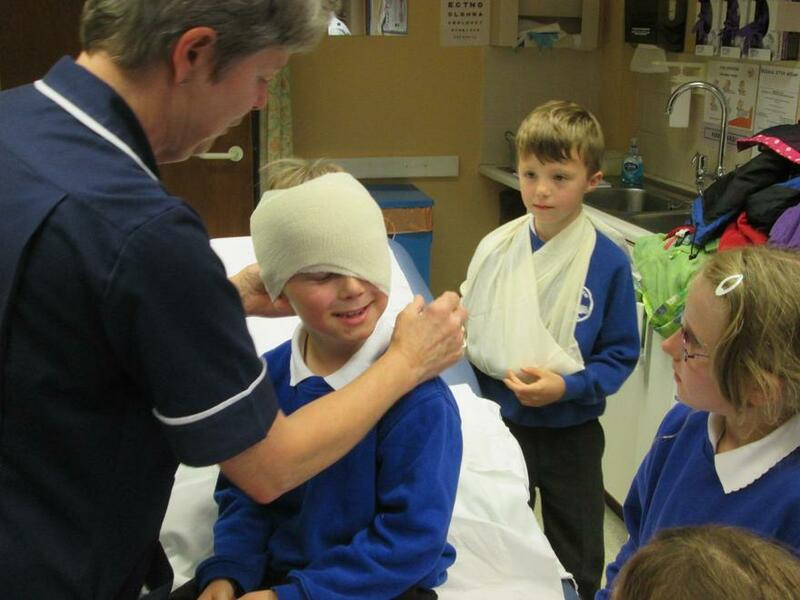 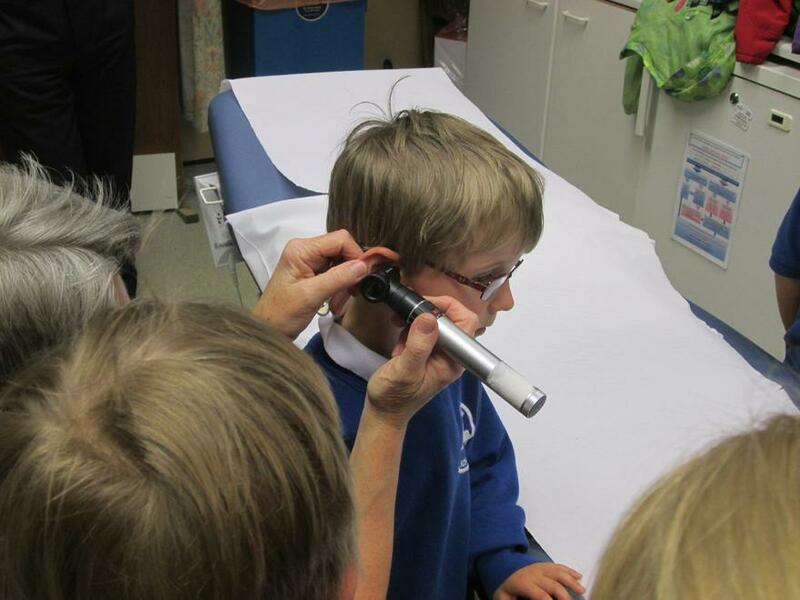 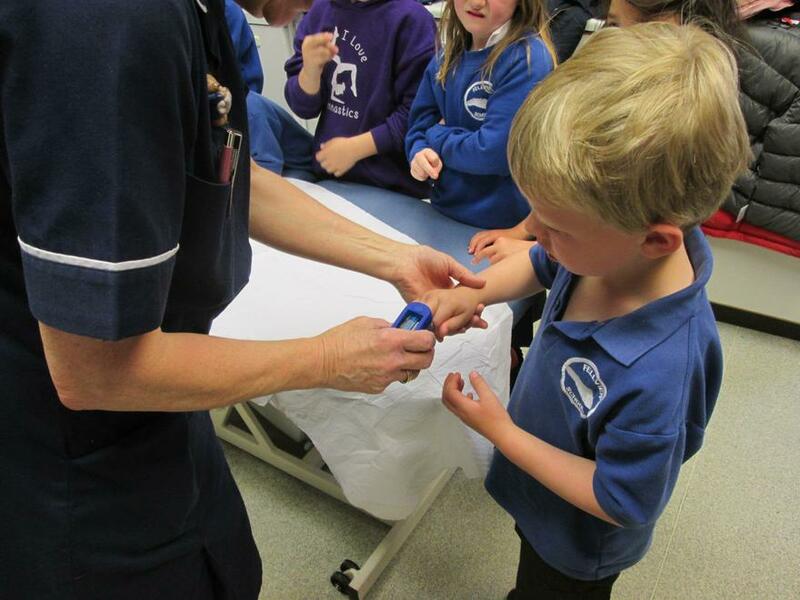 As part of our 'People who help us' topic, we had a visit to Caldbeck Surgery where a nurse checked our ears, looked for our pulse and showed us how to bandage our wounds. 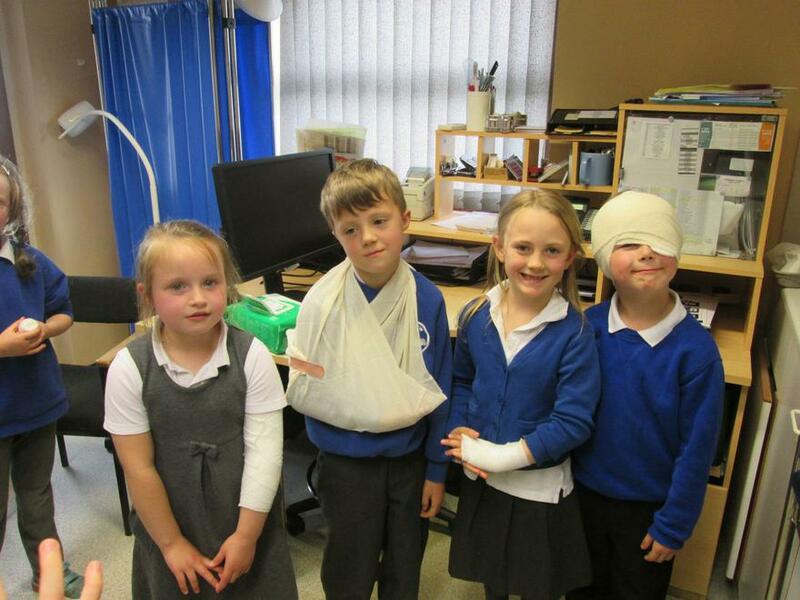 We also met the doctor and discussed growing, energy and bones. 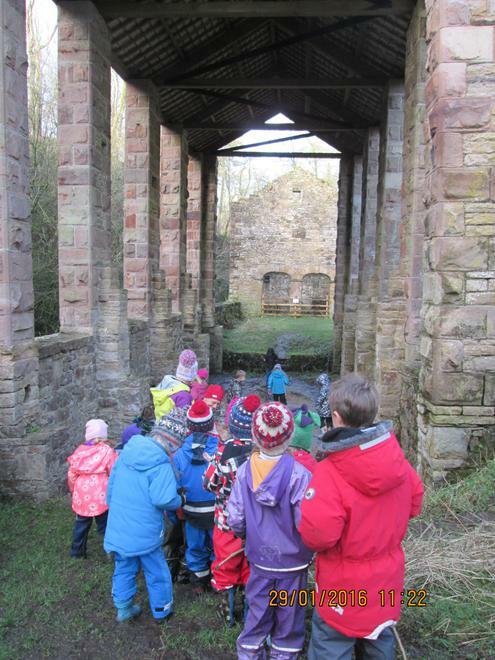 All the chidlren enjoyed their visit. 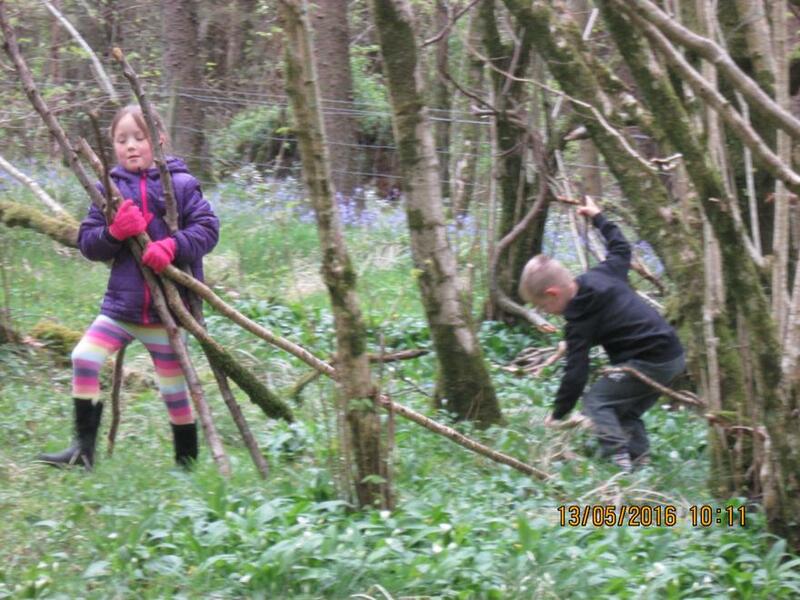 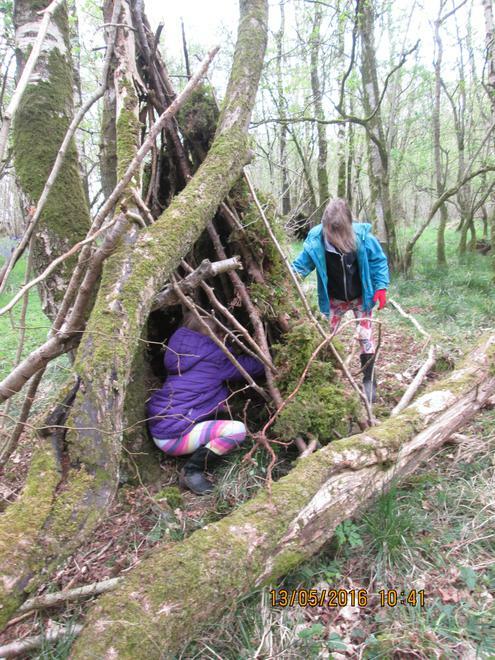 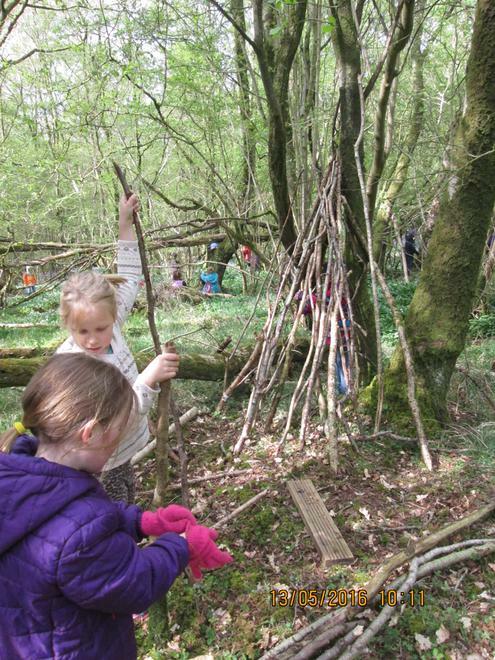 Reception, Year 1 and Year 2 making dens. 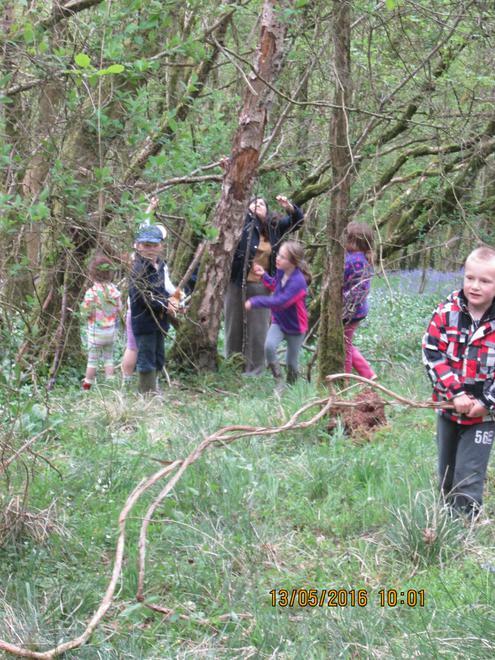 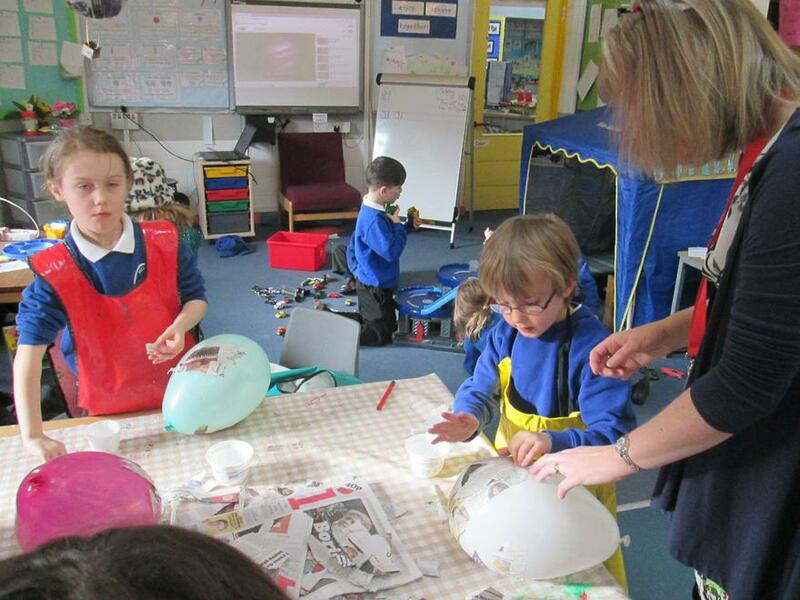 All the children enjoyed themselves. 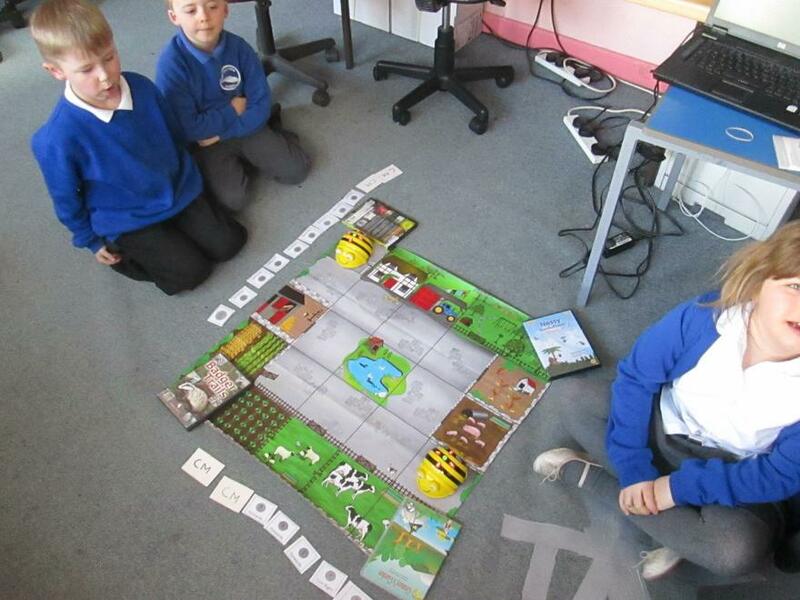 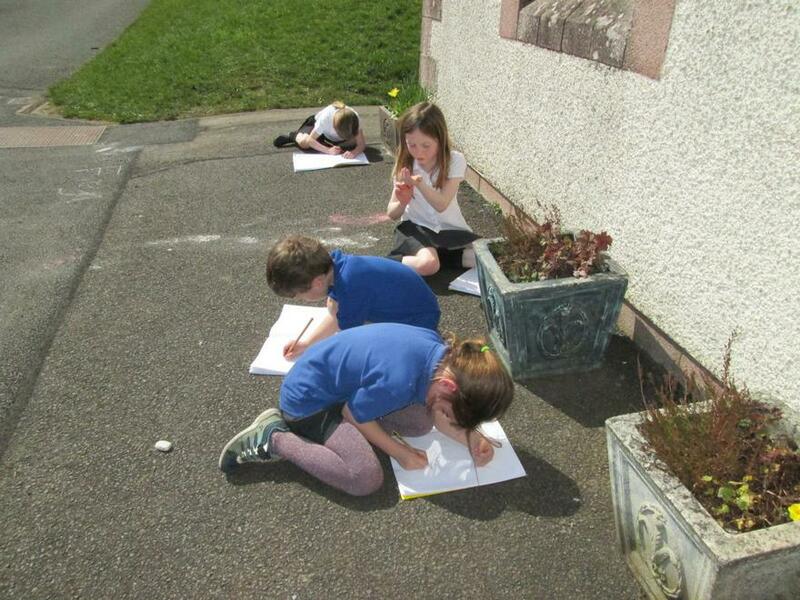 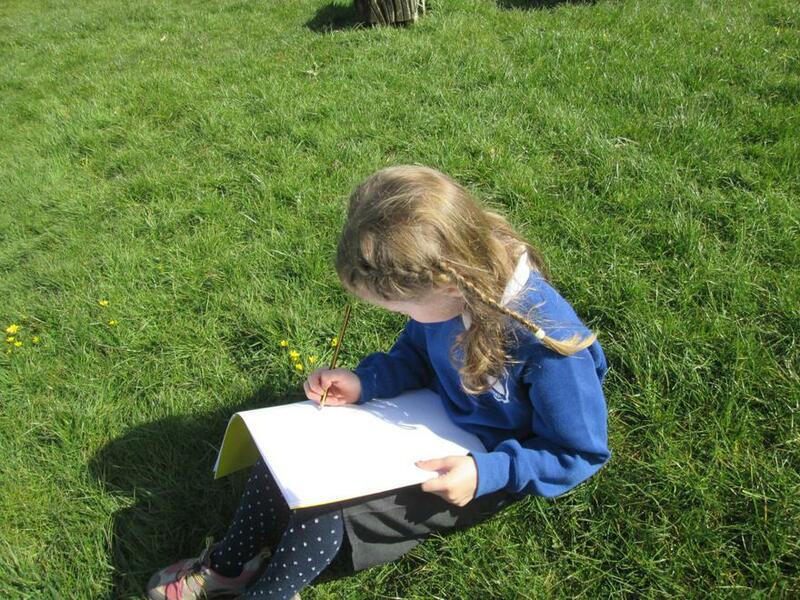 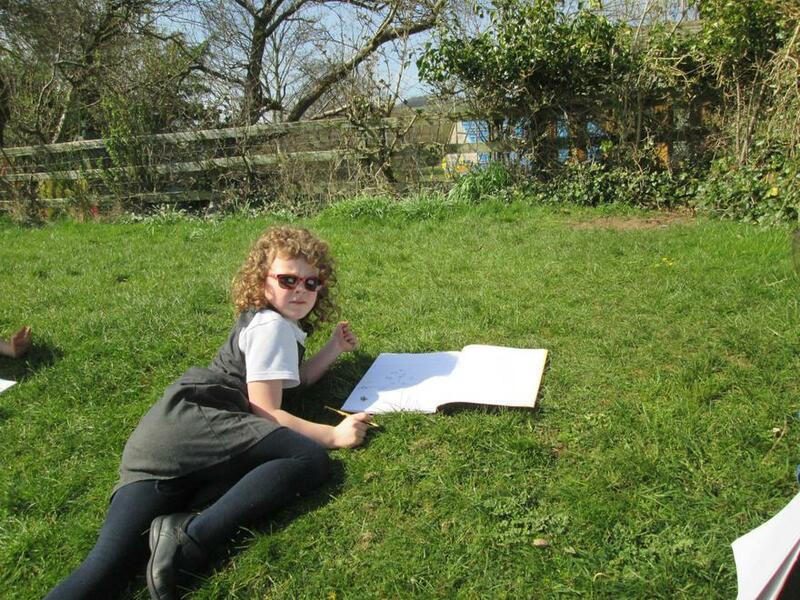 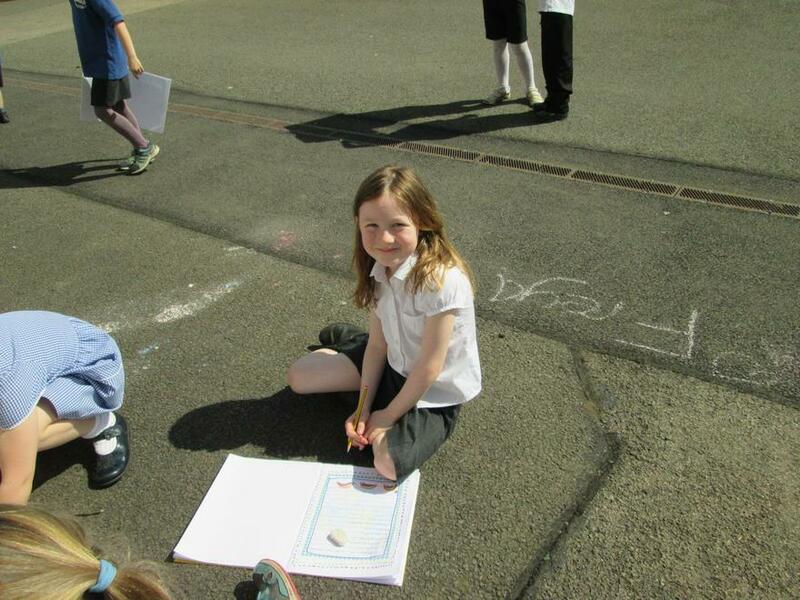 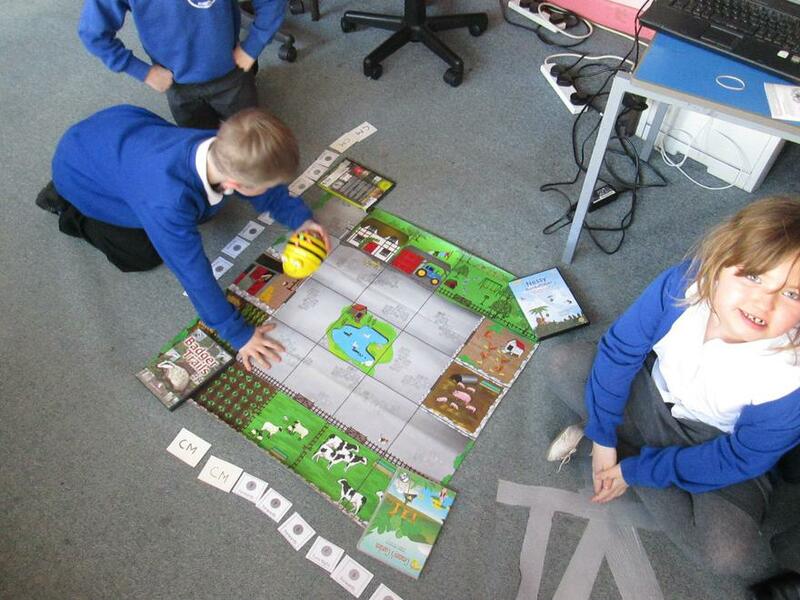 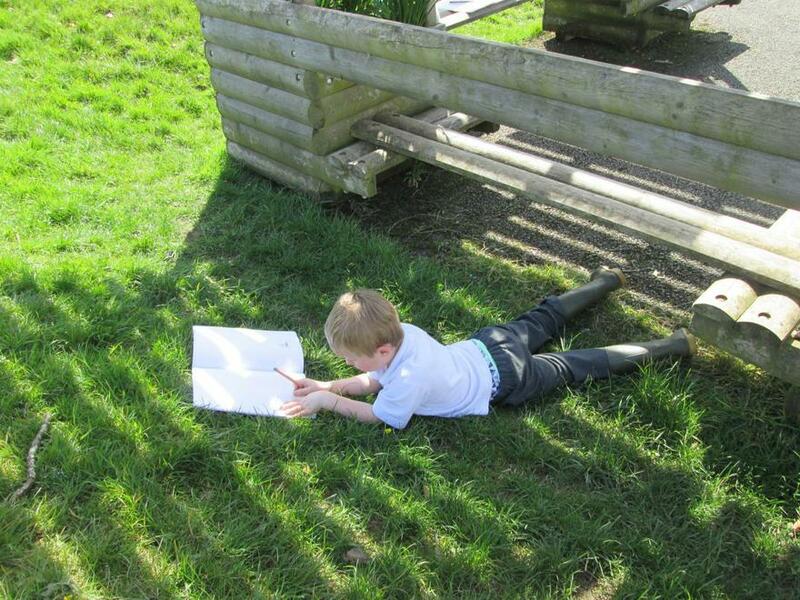 Year 2 children writing an algorithm for Bee Bot to move around the farm yard. 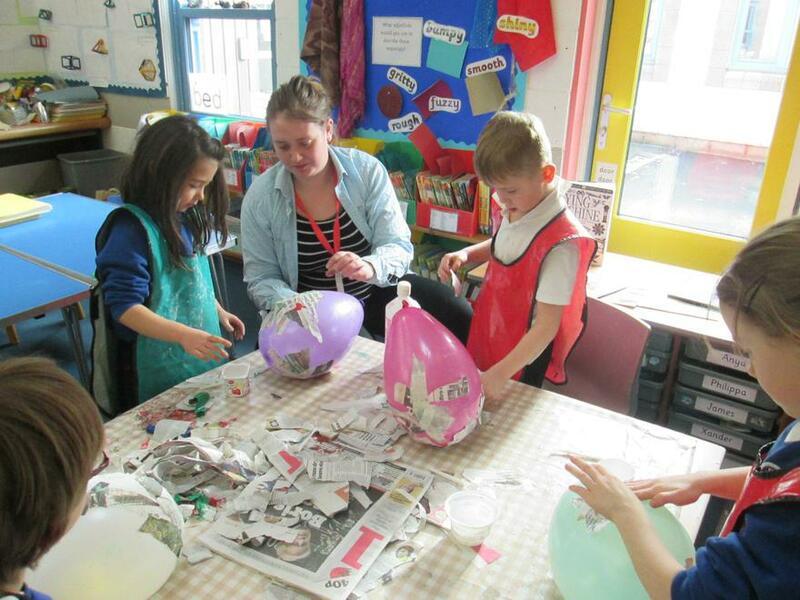 Children making papier mache space helmets linked to our text 'The Man on the Moon" by Simon Bartram. 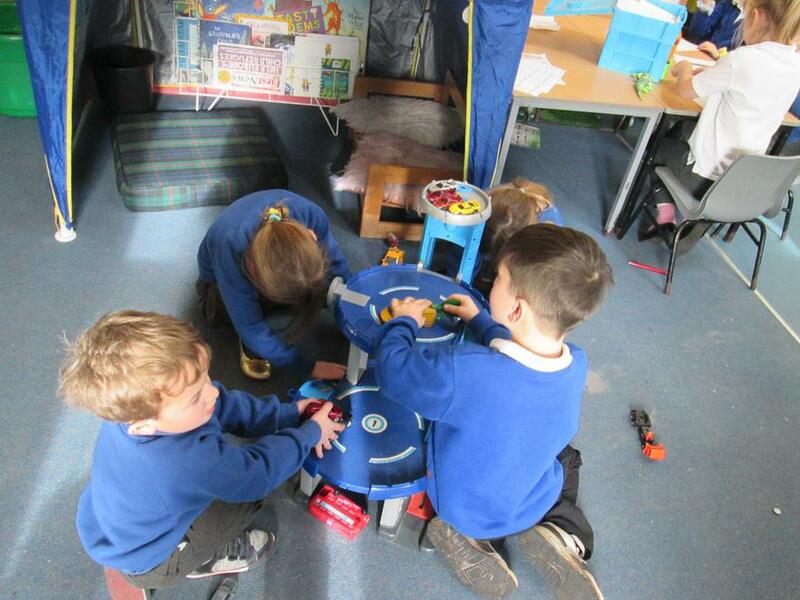 Within Continuous Provision, the children work with small world equipment, for example the garage. 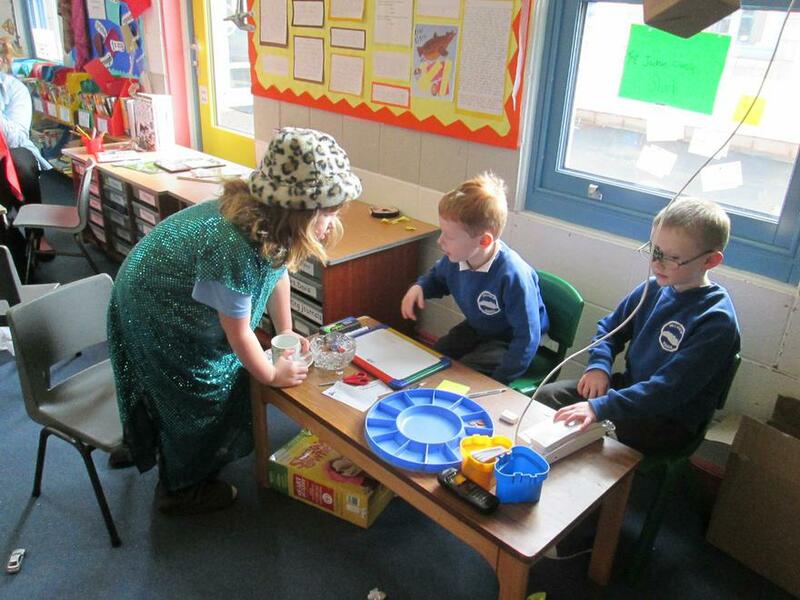 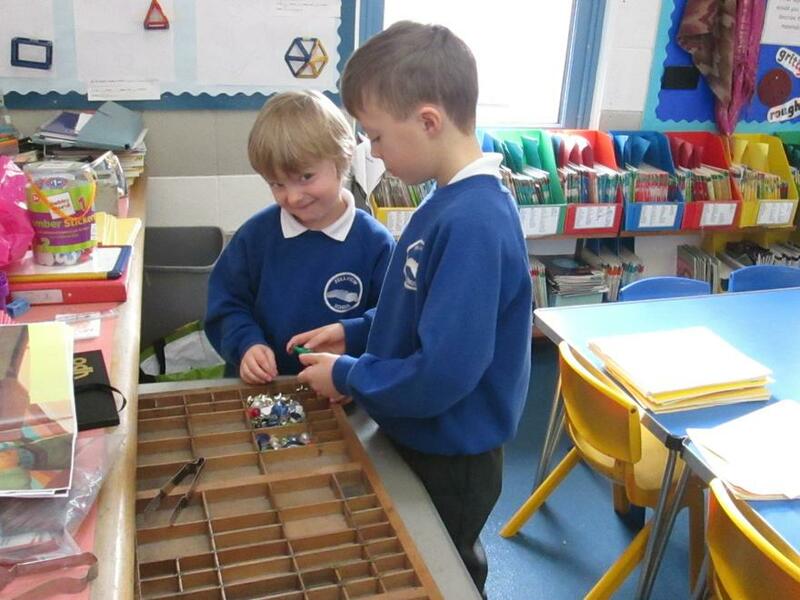 In role play, the children wanted to set up a Charity Shop to practise their handling of money. 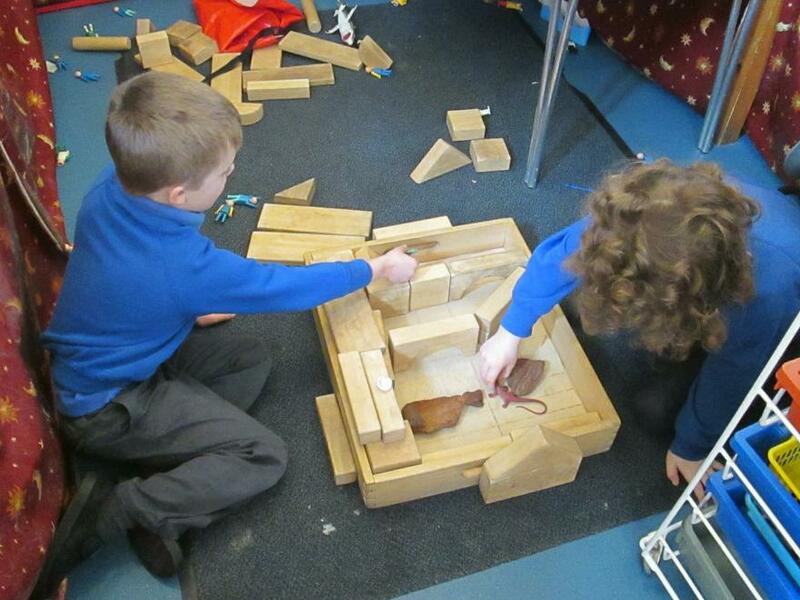 They can develop their fine motor control by using tweezers to move small objects from one box in the sorting tray to another and in construction, they use bricks to build their own fantasy worlds. 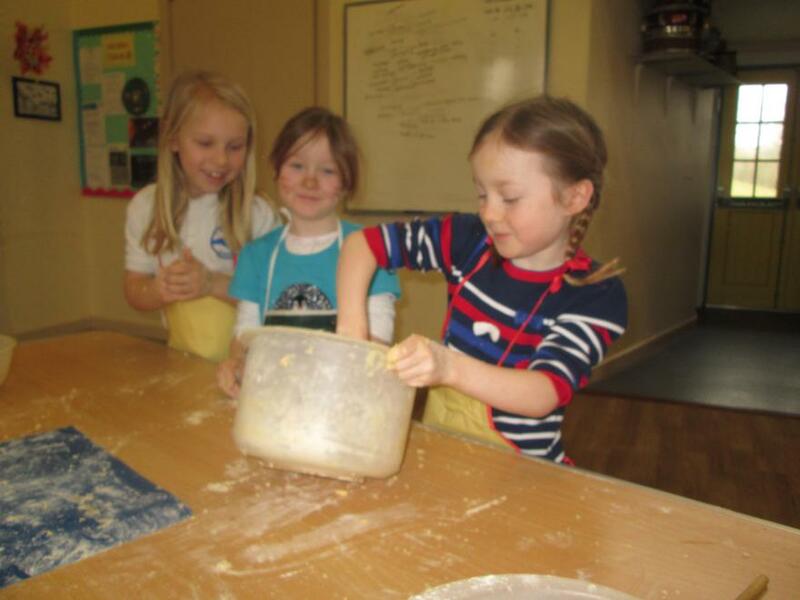 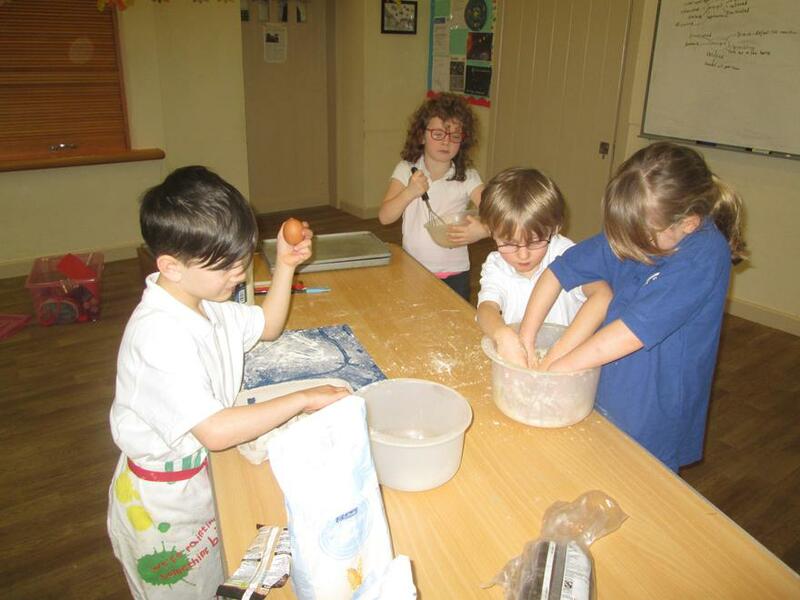 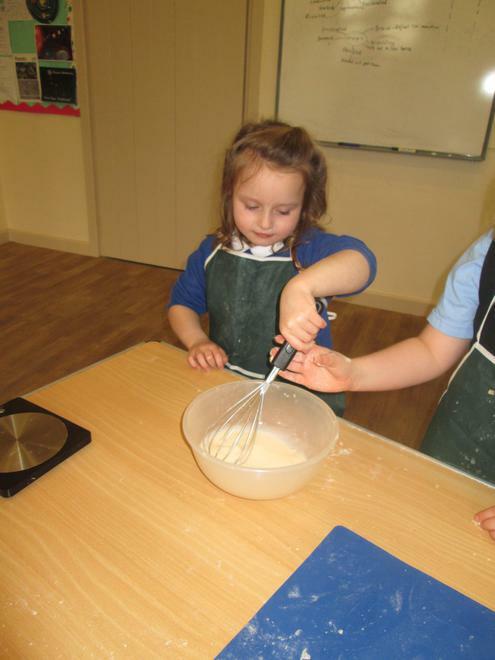 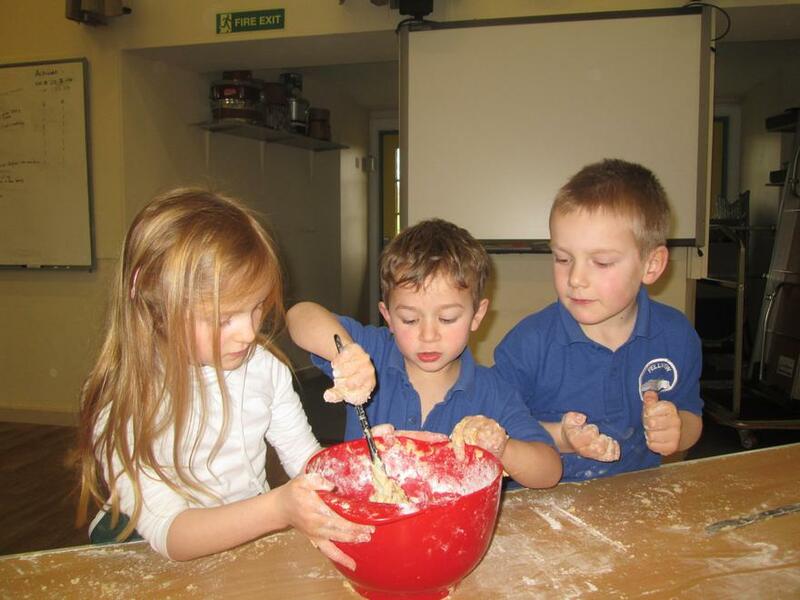 Children making meteor cakes as part of their topic on Space. 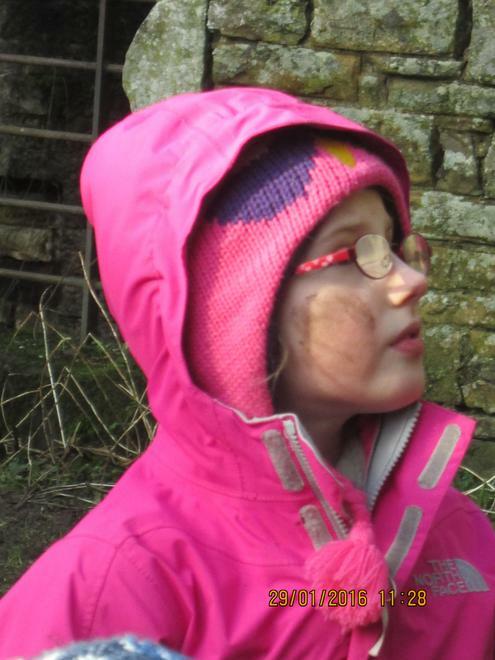 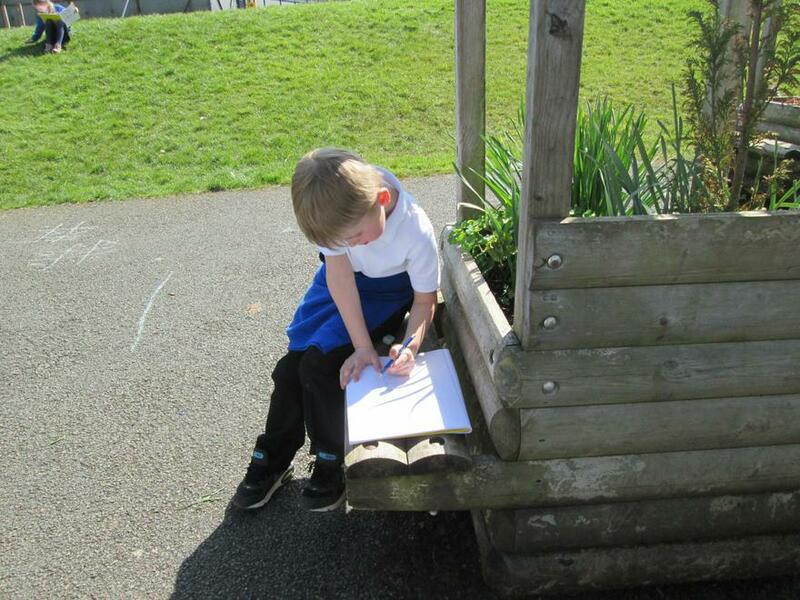 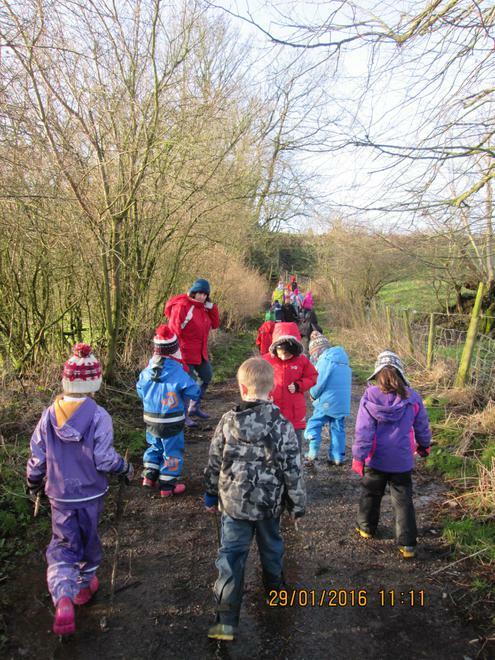 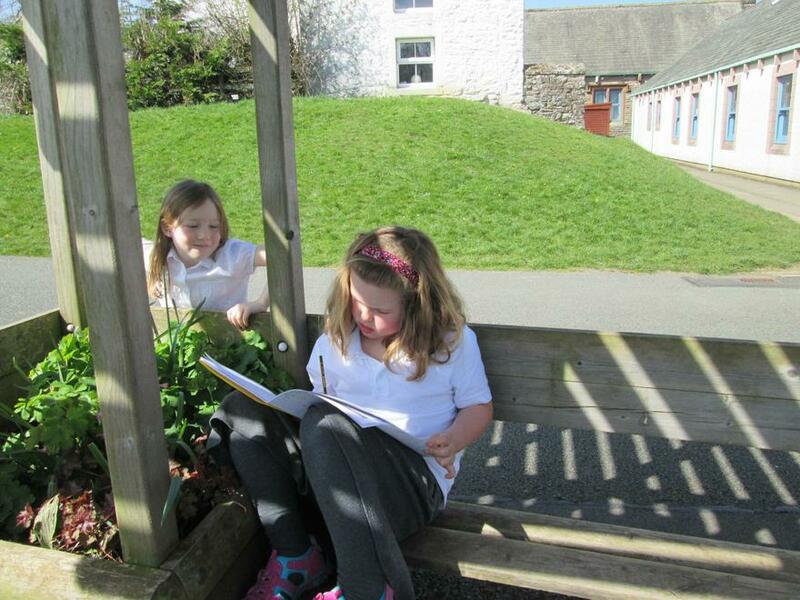 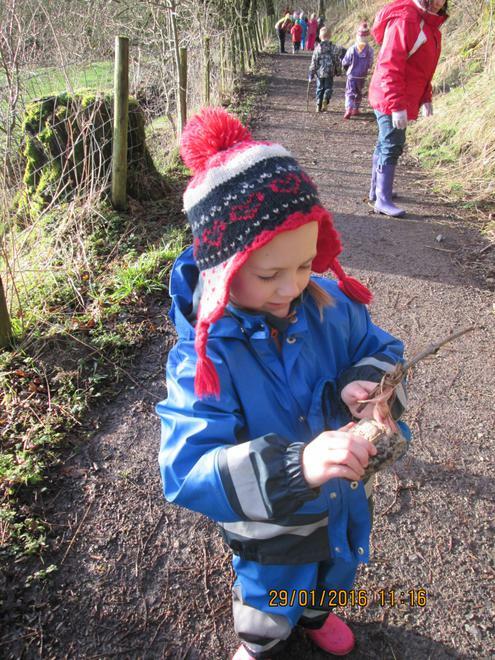 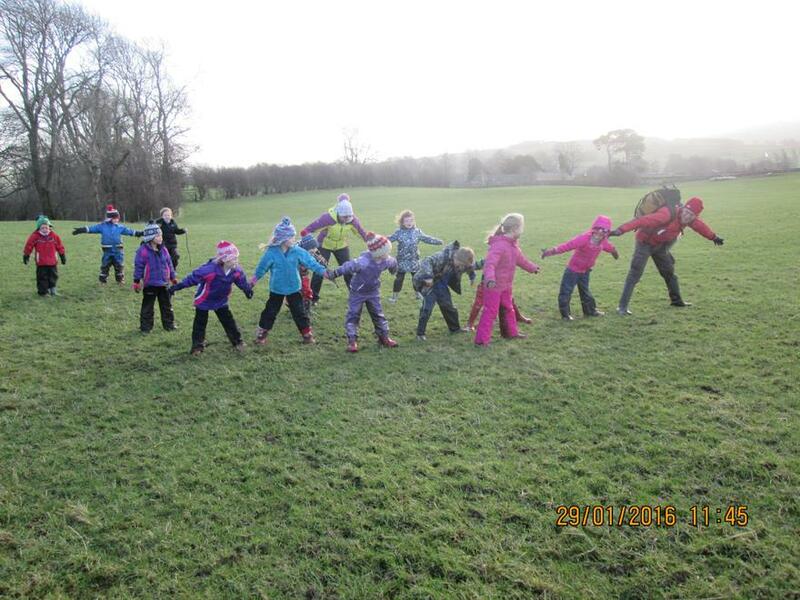 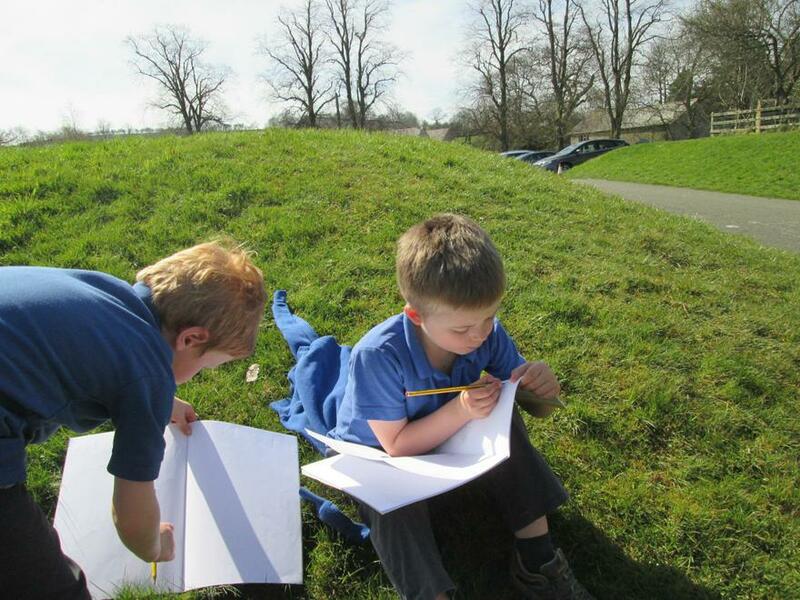 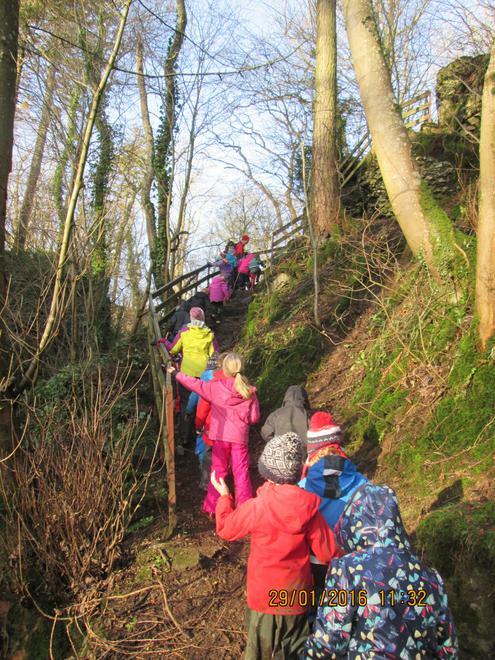 Reception and Key stage 1 went out on their outdoor learning experience on a sunny and windy morning. 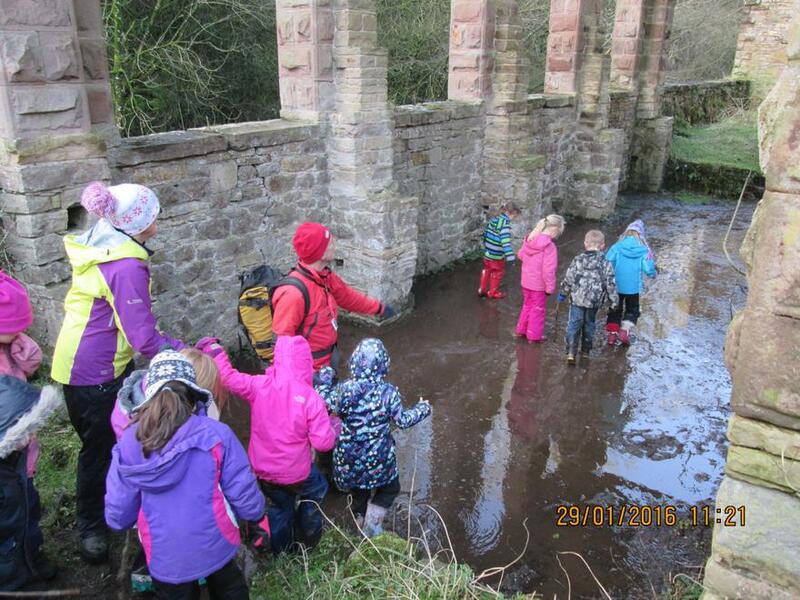 They all had a fabulous time!